The 2008 Austin Chamber Music Festival is happening through July 25, and tonight the festival features the famed Borromeo String Quartet. 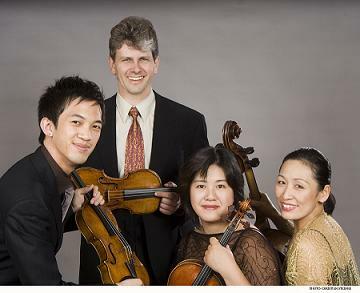 The Boston Globe says the quartet is “simply the best there is on this planet; every appearance they make is an event.” Tonight they will perform Beethoven’s “String Quartet No. 3,” Bartok’s “String Quartet No. 6,” and Schumann’s “String Quartet No. 1.” Get tickets here.